EE has been named the UK’s best mobile network for the fifth consecutive year by independent testers at RootMetrics, but the operator’s lead is narrowing. The BT-owned operator won the overall, network reliability, network speed, data performance, call performance and text performance categories, helping it “win” RootMetrics’ half-yearly report for the tenth time in a row. Its overall score was 96 out of 100, but Three was close behind on 93, Vodafone scored 90.1 and O2 reached 86.6. Vodafone made significant improvements in data, while Three performed consistently well in most categories. O2 was last once again, but testers noted better call performance and the fact it has done consistently well in the text category over the past few years. There are also regional variations, with Vodafone doing better in Northern Ireland and Three competing with EE in Wales. All four operators have made significant investments in their infrastructure in order to boost speed and coverage. EE, for example, is targeting 95 per cent 4G landmass coverage by the end of the decade. However, RootMetrics believes that as the gap between the best and worst network becomes smaller, 5G will be an increasingly important differentiator. It is expected that all four will launch 5G between 2019 and 2020. “The first movers in 5G are going to have an advantage as consumers will see a big step change in performance of their devices across critical functions like live streaming video,” said Kevin Hasley, head of product at RootMetrics and head of testing at parent IHS Markit. 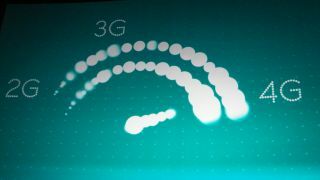 “EE’s high performance in 4G testing can lead to a seamless service transition to 5G; however it will be a brand new playing field once the technology is live. 5G will give all networks an opportunity to be a leader in performance and service provision. A separate study from RootMetrics earlier this year suggested just 53 per cent of Brits were happy with their mobile speed, but 79 per cent would be willing to pay marginally more for a better service.